Owning an antique or classic car is a sign of sophistication as you possess a piece of industrial art. Restoring a classic car brings you to another level of not just owning, but creating something beautiful. Protect that “baby”. Classic cars have special insurance requirements in contrast to newer vehicles. InsureLine offers this special insurance understanding the balance between a car that is driven on a limited bases, but has increased in value over time by the make, model and condition of the restoration. 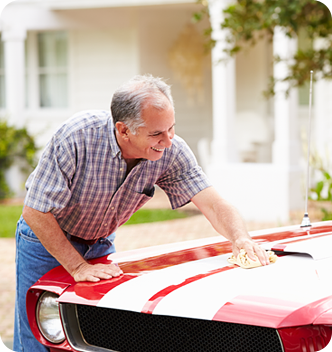 Our classic car insurance policies include the same coverage found in typical auto insurance, which includes liability, collision, comprehensive, and uninsured or underinsured motorist coverage. Call InsureLine classic car specialists to share your story about your classic vehicle and make sure you have the coverage you need to have peace of mind. InsureLine Brokers (Connect). Independently Owned & Operated.